Tess. Lotta is an interdisciplinary artist, writer, musician, and activist (www.tesslotta.com). A Los Angeles native, Tess. 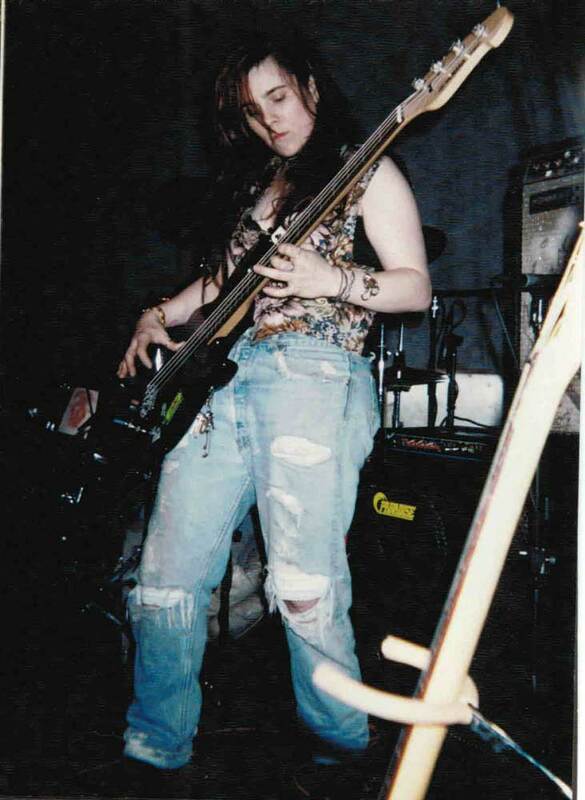 played bass and guitar in L.A. garage punk bands until migrating to Seattle in 1990, where she met Gretta Harley. Tess. and Gretta bonded over music, guitars, and whiskey at a Lunachicks show at the Offramp, and, soon after, they formed Maxi Badd with drummer Dave Parnes. The trio renamed their band Danger Gens and embarked on a prolific run of music releases, live shows, and touring. Tess. has been fortunate to collaborate in numerous Seattle bands, including Campfire (with Harley and Kristen Barry), Algae (with Stephanie Emery), Raoul, and Bobbitt (with Tonja Renee Hall), playing on show lineups with some of her favorite bands, including The Gits, Gossip, Babes in Toyland, Bob Evans, and Chavez. In 2003, Tess returned to L.A. with her husband, David Gloshinski (guitar & vocals of Boston band Bob Evans), to attend graduate school, where she earned an MA in English. Tess. has exhibited her visual art and photography, while her writing and photography have appeared in many publications, including The Stranger and Blood Orange Review as well as in self-published books, blogs, and zines. Tess. collaborates with David on Quality Audio, an alt/rock band and music publishing project, and Smoking Thespians, a visual art and music collective. Tess. and David also own a financial services practice together – Blue Leaf Financial Services. A devoted bicycle nerd, Tess. advocates for walkable and bikeable communities as a co-founder of the West Hollywood Bicycle Coalition.